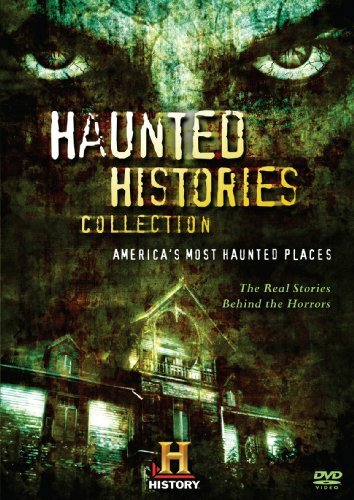 Tour some of America s most haunted destinations, from the remote, beautiful, and enchanting hot spot of Hawaii to the windy city of Chicago, Illinois, where ghosts are said to prowl the shores of Lake Michigan, in this frightening 5-DVD set. Featuring in-depth profiles of the world s scariest stories, the collection also travels to Savannah, Georgia, an elegant Southern city where spirits have been known to lurk in the bucolic façade; the sun-baked desert of Tombstone, Arizona; and the famous landmarks of Washington, D.C. Hear from people who claim to have been attacked by the warrior spirits of long-departed Hawaiians. Learn how the spirit of Abraham Lincoln; the presence of Ulysses S. Grant; and the ghosts of first ladies, military heroes, and famous politicians are still seen and felt in our nation s capital, once called the greatest town for ghosts in the country. And take a memorable tour of one of the Old West s most infamous towns, where history is soaked in blood, and the past lingers on in paranormal ways.